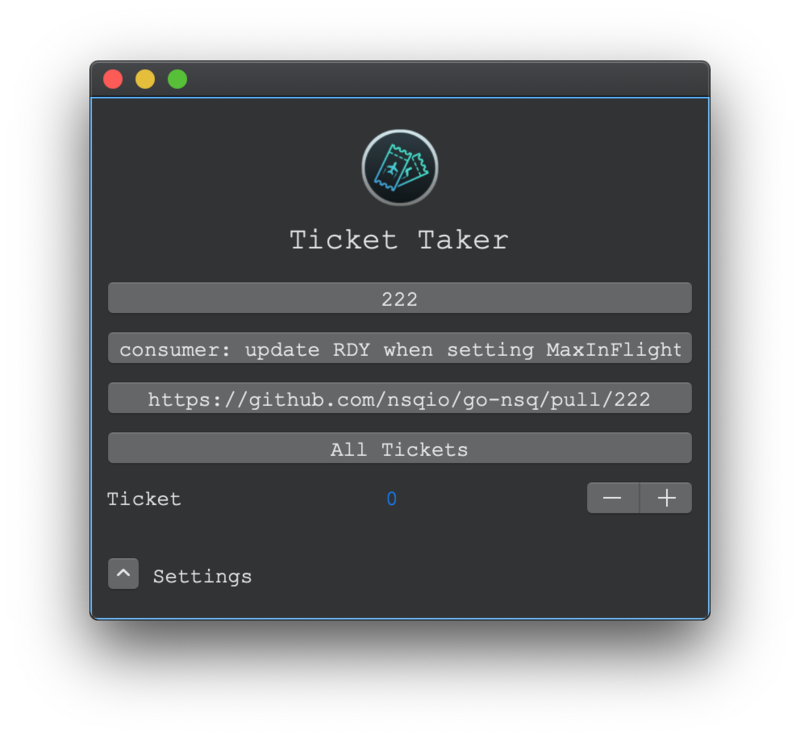 Ticket Taker is a developer productivity tool for any one who's workflow involves work tickets (Jira, Github, etc). Ticket Taker makes it easy to track mutiple streams of work or to focus on a single ticket. Touchbar integration puts the Ticket Title, URL and Ticket ID within easy reach everytime so you no longer need to switch through all your tabs to find that one story you were working on. Ticket Taker can help take your developer productivity to the next level!